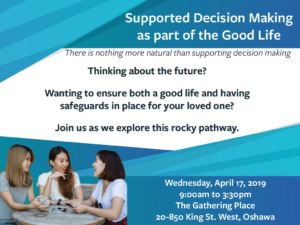 Some of the universally agreed things that make up “A Good Life” include having a typical level of control over our lives; opportunities to explore and determine our own life path; feeling and being respected and listened to; and having people to share our lives with that know, love and honour our uniqueness. 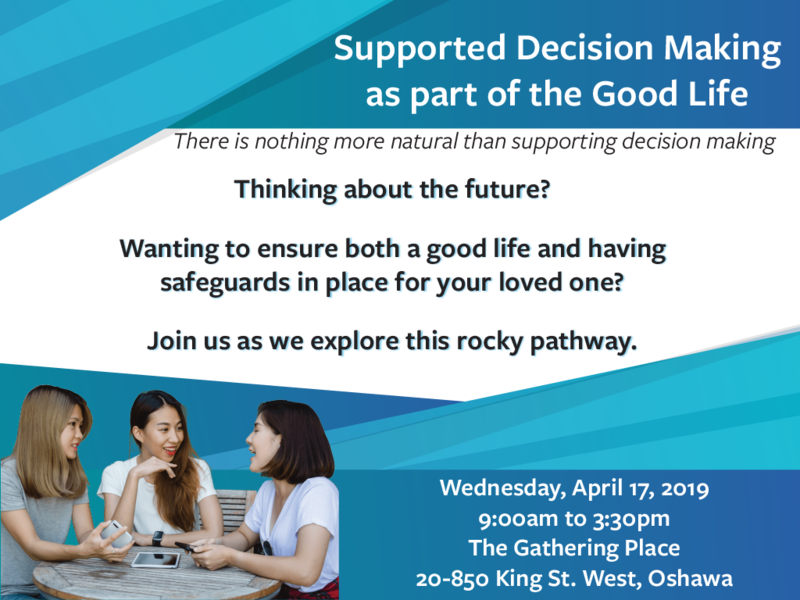 To help us to start thinking more deeply about how supported decision making fits as part of the Good Life we have invited Michael Kendrick to come and share with us some of his experience in this area; contemplate some helpful underlying principles; discuss who and what is involved; and to explore the question of why does this all matter? See and share the flyer here!